For the amount of time you spend in your bathroom, you may not be in love with it currently. Whether it’s an outdated style, peeling wallpaper or boring fixtures, there are many ways a bathroom can be less than desirable. If you’re ready to renovate a room that offers huge returns on your investment, check out these fun and inspiring bathroom remodeling ideas. If you’re tired of the traditional black-and-white or cream colors of most bathrooms, bring in some more color. Modern bathrooms feature a bold color, either all the walls or a single accent wall, with simple white or black trim. This minimalist, two-tone look is an excellent balance of inspiring, calming and classy. 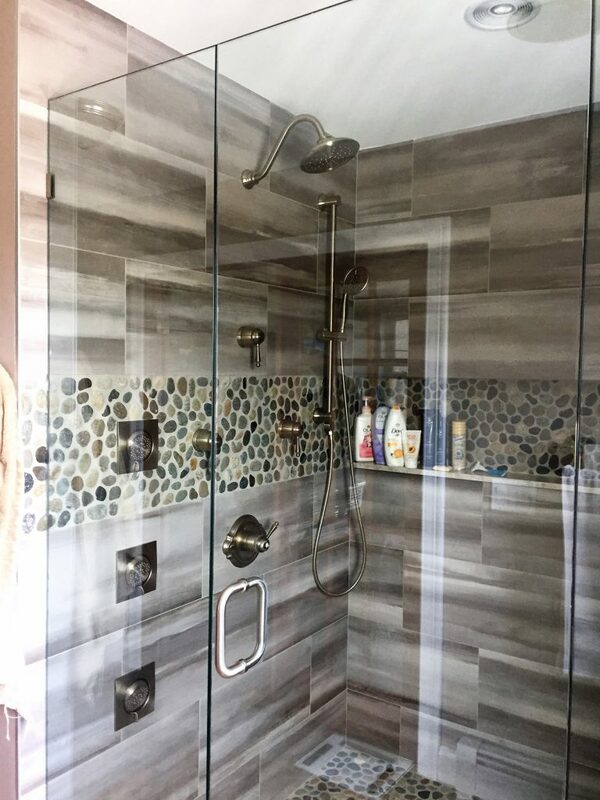 Combined tub and shower units are affordable and functional, but a large tub for soaking and a walk-in shower are extremely popular features in bathrooms. These additions will add charm and make your bathroom remodel instantly unforgettable. Does your bathroom have windows or an exterior wall? Many bathrooms are either closed off or feature a single, small window. By opening up your bathroom with large windows or skylights you’ll let in lots of bright, natural light to help wake up the space and make it feel larger. If you have nearby neighbors you can choose tinted windows or light, flowing curtains to keep the look with some added privacy. The most important step to any bathroom remodeling project is to create a more pleasant and functional space. Don’t let the need for a minimalist look keep you from getting the storage space you really want. In the end, any remodeling project should give you a stronger sense of home. A designer can help bring in a whole new set of ideas, and a professional builder remodeling team can turn your dreams into reality.